Weight Loss Special - Have you tried to lose weight and failed? Then try something new, specially designed for our modern lifestyle. My weight loss special is a healing and transformative program that incorporates body, mind and spirit for faster and lasting results. 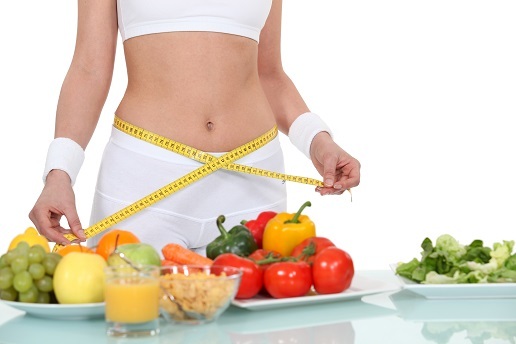 Nutritional Counseling in which I design a Personal Weight Loss Diet guideline for your body type, needs and lifestyle. Each session we discuss your progress, then tweak the guideline to ensure we keep up with your nutritional needs. This ensures you move forward towards your goals while maintaining strength, vitality and health. And don't worry, together we can work to limit cravings, keep you energized and see progress. Colon Hydrotherapy is utilized to help your body remove waste that can cause cravings, mood swings and more. As you experience each session, you see results, making it easier to stay on track. The process is gentle, yet effective with many people claiming their only regret is they wished they would've done this 10 or 20 years ago. Energy Work is incorporated into each session to help break through blockages that may prevent you from reaching your goals. This comes naturally and is my gift as a healer. Because of this gift, over the last 20 years I have helped clients overcome obstacles to living their lives happy, free and healthy. Colon Cleansing Supplements are included for an extra $45 and must be mentioned when you make the appointment. safely and effectively lose weight for good. Because of numerous environmental toxins and substances in our food, drink and even water, weight loss can be difficult. These toxins can cause cravings, inhibit weight loss, create feelings of fogginess, lethargy and even illness as well as cause our bodies to retain weight as fluid, fat and intestinal buildup. Many people have a difficult time sticking to a program because of cravings or mental obstacles like fatigue and depression. These issues are not due to mental weakness or lack of willpower. They are more often side effects of hidden toxins that interfere with all body processes including hormonal, cerebral and homeostasis (your body's ability to remain healthy). In addition, these substances make it nearly impossible to lose weight as they become stored in adipose tissue, causing you to retain fat, excess fluid buildup and more. When you have big industry against you, it is difficult to find a truly healthy program and stick with it. Add to this a busy lifestyle, and the stress of trying to live healthy becomes a big challenge. I can help. While our bodies are designed to work the same as anybody else's, we each have unique needs. Cleansing is a natural process for our body, but due to the overwhelming burden, it cannot do it's job to keep up, causing weight gain and for some, illness. During my weight loss special, I will be your coach and guide. Together, we will find where your are, then find the perfect diet to help your body naturally begin the weight loss cleanse. Learning how to work with your body makes the process easier to stick with, giving you lasting and healthy results. On a Budget? I can work with that!